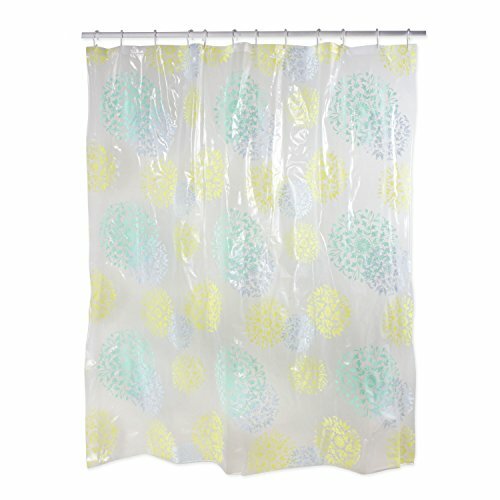 Decorate your bathroom with this beautifully printed 100% PEVA vinyl shower curtain. This heavy-duty 4 gauge shower curtain provides a waterproof barrier. The shower curtain measures 70 by 72 inches. Easy to wipe clean. The shower curtain is made of antibacterial and mildew-resistant materials. Available in 11 other great designs from J & M Home Fashions. If you have any questions about this product by J&M Home Fashions, contact us by completing and submitting the form below. If you are looking for a specif part number, please include it with your message.